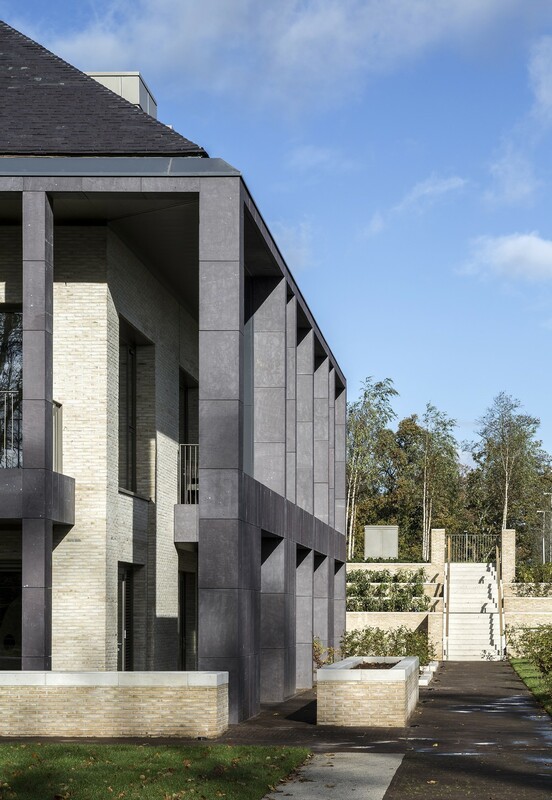 Designed by international design practice Ryder Architecture, The Prince & Princess of Wales Hospice is the first palliative care facility in the UK to follow the Sengetun model of healthcare design. This innovative Scandinavian model uses pioneering research, which links the design of a healthcare facility to patients’ wellbeing, to deliver a world class development. This is achieved by putting the patient first and offering choice, in a place that deliberately does not look like a hospice and feels more like home. 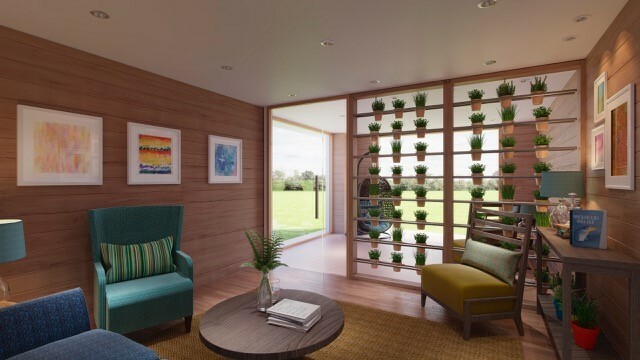 The design team worked alongside hospice staff throughout the design process, such as focussing on reducing staff walking distances to allow more time for direct patient care. In addition, the Sengetun layout allows new technology to be fully utilised, changing the face of how care is provided. The Sengetun layout is especially supportive to patients with confusion, sensory impairments or dementia. 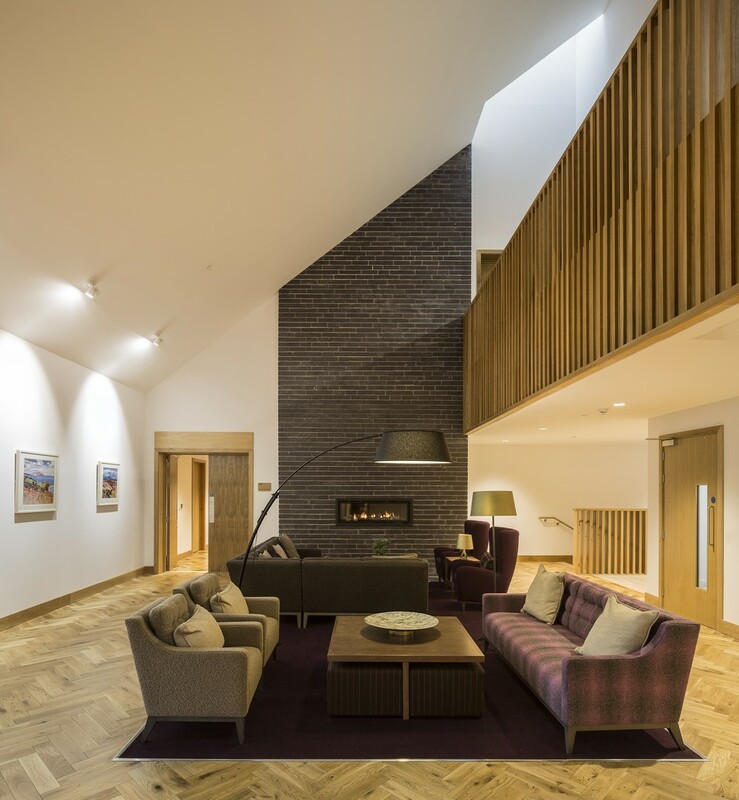 The open communal areas create a sense of place, positively impacting on the quality of all visitor experiences, including staff and relatives as well as patients. Despite bringing twenty first century care to the city of Glasgow, the hospice is careful to not forget its roots of Carlton Place, a Georgian townhouse in which the previous hospice lived for over 30 years. 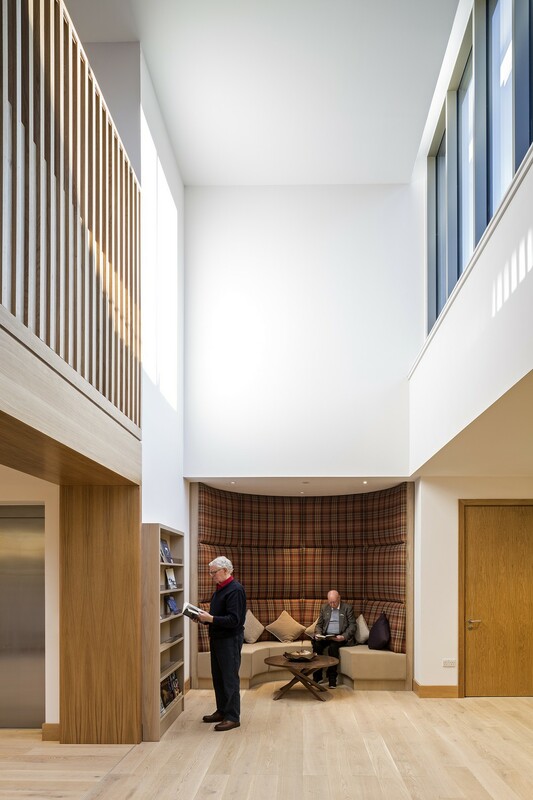 In the new building, subtle references include the various alcoves for private reflection or discussion, which were an important feature of Glasgow townhouses. Additionally, the original front door was relocated to be the entrance point of the new scheme, ensuring the old and new schemes are always intrinsically linked. 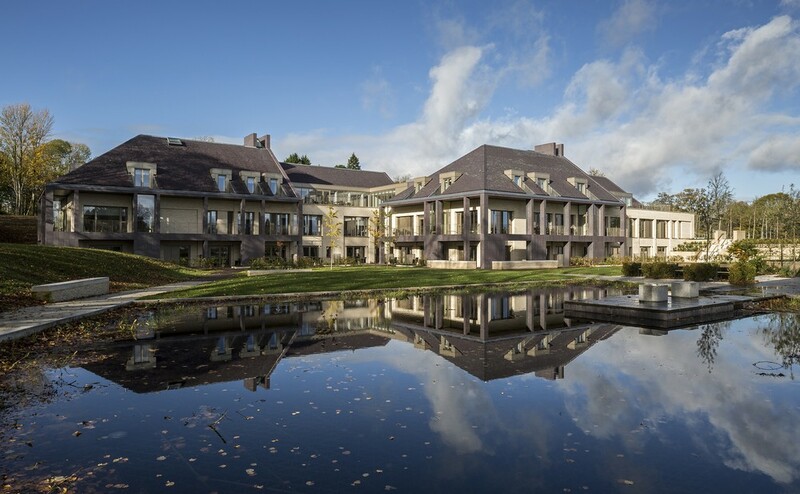 The Prince & Princess of Wales Hospice welcomed the first patients in November 2018.